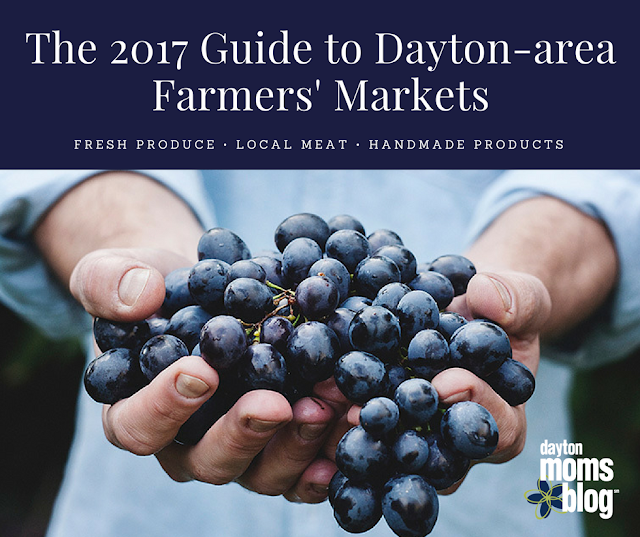 It feels like it's been forever, but I'm back on Dayton Moms Blog today sharing the 2017 Guide to Dayton-area Farmers' Markets! Many of you may not know, but when it comes to local, sustainable, and organic farms, there is no bigger cheerleader than me. There is such an amazing return on investment when you support local farmers and businesses, not to mention you are getting the best possible quality product! I have been so thrilled to serve the Clinton County Farmers' Market as Co-Manager for the 2017 season and it has been the best experience. If you're in the Dayton area, check out the guide and be sure to support your local farmers! You can find the guide here on Dayton Moms Blog!